Using a decorative glass block border can turn an ordinary project into an extraordinary project. 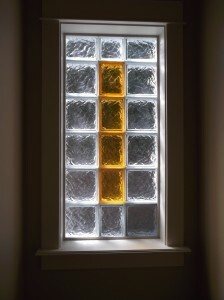 In the article below learn how decorative borders can be used in glass block windows or shower walls and about the product options to choose from. 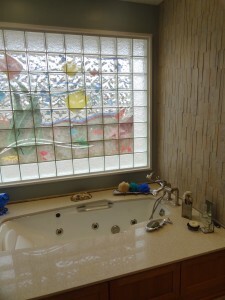 What is a decorative glass block border? A decorative border is using a different design (which can be a pattern, color, size or style) around the perimeter of a project to create a unique look. Why use a border block? 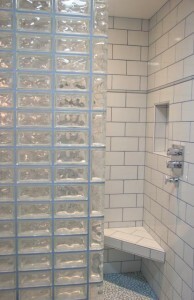 A border block can be helpful to provide a more unique glass block shower wall or window, add more or less privacy to the project, or to match an existing block application. Where to use a border block? 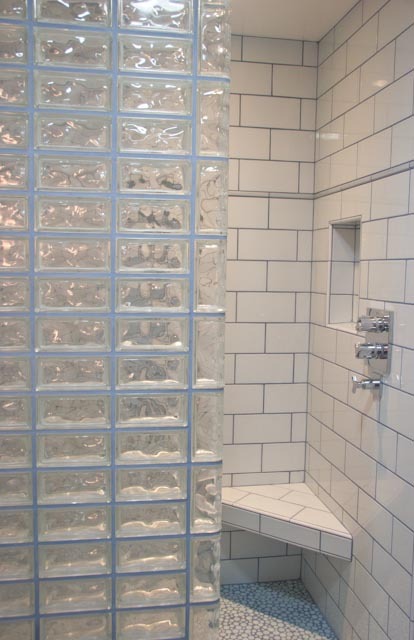 The most common use of border blocks are in glass block windows, shower walls, and bars. With this being said this type of approach can be employed in specialty applications like the underneath sections of kitchen islands or conference room walls or decorative columns. Project 1 – Border around a glass block bathroom window mural – A stylish mural can add to the theme of a room and also increase privacy. 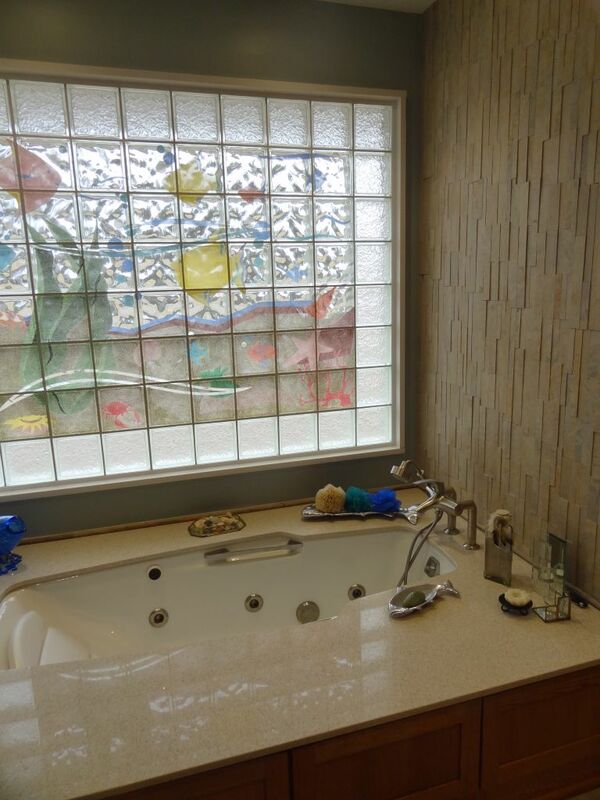 In the project below you’ll see the use of a dramatic aquarium mural that was fused to a wavy (decora pattern) glass block and a higher privacy Icescapes pattern block around the border. This border served to “picture frame” the bathroom window and add a sense of style. Project 2 – Using both clear and colored glass blocks to create a contrast in a toilet room window– To get the color to really stand out in this toilet room window the yellow color glass blocks were used in the center and the clear blocks where used around the edges. Project 3 – Using different sizes of glass blocks – Why keep all the sizes the same when you can make a unique look by mixing things up? The project below used both 4” x 8” and 8” x 8” blocks to create a cool look. Project 4 – Turn a border block on it’s side – In this project done by a California designer the 4” x 8” End block was turned on it’s side to create a different visual presentation. Project 5 – Use different patterns around the perimeter – In this application the glass block panel was set to create a diamond shape in the wall and the blocks around the edge used a different pattern than the block in the middle. 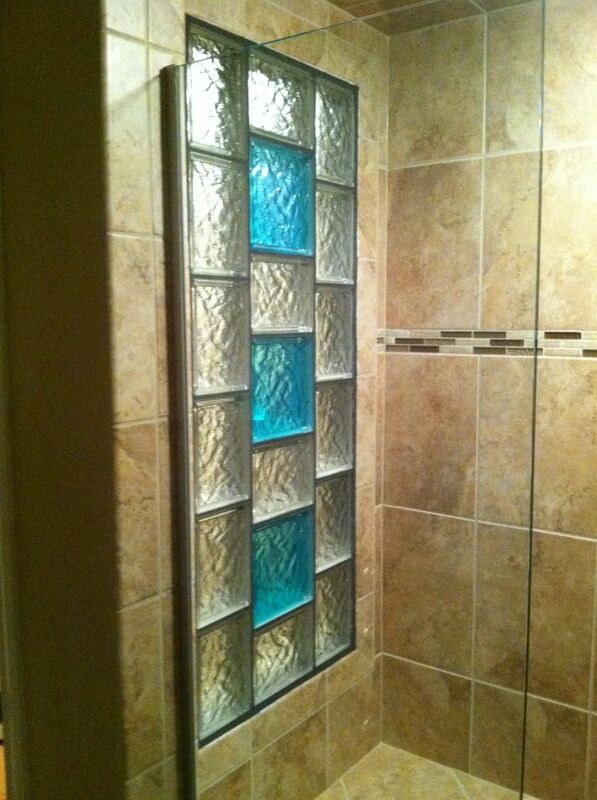 What do you think about the use of decorative glass block borders? Please comment below. 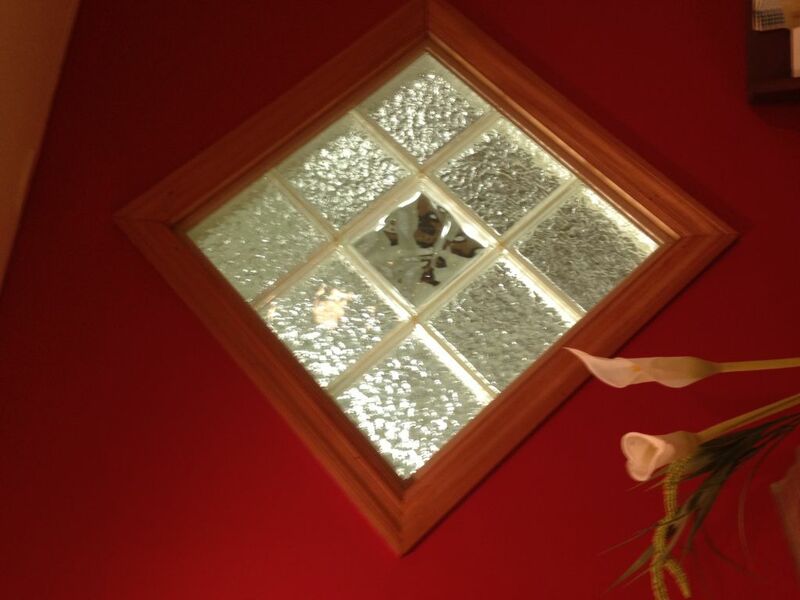 To get free estimate on a glass block window, shower or wall or for nationwide supply contact Innovate Building Solutions (877-668-5888) or for a local project their divisions including Columbus Glass Block (614-252-5888), Cleveland Glass Block (216-531-6363), West Side Glass Block (216-398-1020) or Mid America Glass Block (513-742-5900) of Cincinnati or Dayton and Akron (330-633-2900). This article was authored by Mike Foti.